Tommy Thunder and The Tales of the Aether Age. 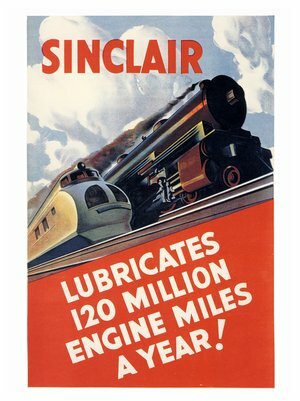 : Art Deco Poster of the Week - Sinclair Oils. Art Deco Poster of the Week - Sinclair Oils. Pulp Cover of the Week - The Shadow, Spring 1949.
ePulp Book Review - Tier Zero by Henry Brown. Writer's Update - Oh so many apologies.